A manuscript is an early edition of a piece of writing from before it is printed, including transcribed duplicates and annotations made by the authors or others.This exhibition showcases a selection of 34 manuscripts from the collections of the Fu Ssu-nien Library, including compilations of classics, histories, philosophies, and literatures from the Qing dynasty. Some compilations in manuscript form are presented alongside their later printed editions to highlight the differences between them. Several of the manuscripts shown are unique to the Fu Ssu-nien Library and also cannot be found in printed form anywhere, making them particularly precious. These include: Daxue-zhu, Zhongyong-zhu, Xunzhai Yiyi Tongkao, Jinghuan-bian, Huangdi Neijing Suwen Jiaoyi, Liuxi Congtan, Wanxiangxianguan Yichou-bian Shi-ji, and Shuanghuleige Huiding Qupu. Visitors will also see editions from different stages. The manuscripts of Guangya Shuzheng, Shangshu Yigu, Mingshi Liezhuan-gao, Daguan-lu, and Siyitang Rizha, for instance, are the very first editions, and as such reveal original features. 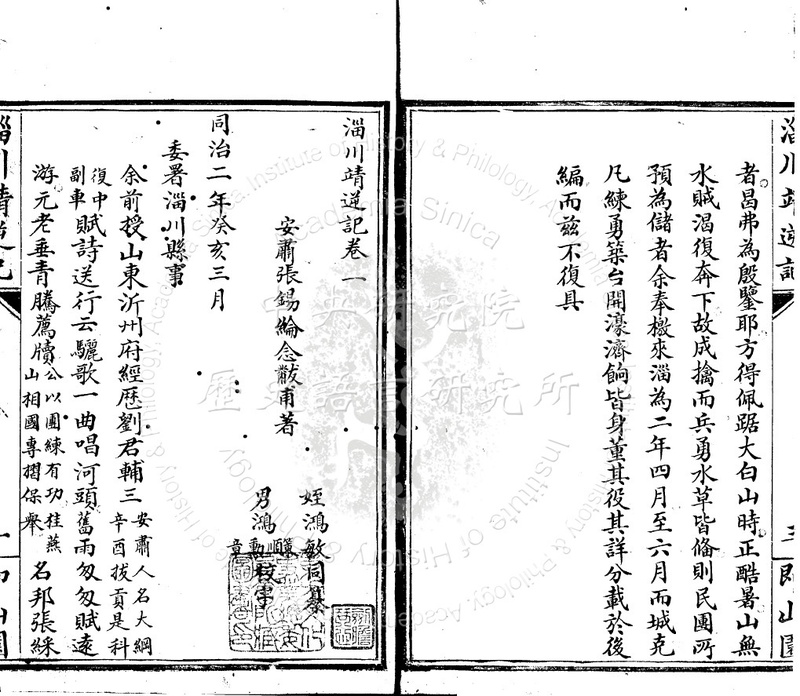 Also exhibited are revised editions from before printing, such as Manqiuting-ji. This text is notable in that the author removed about ten poems before it was printed because they were related to a political controversy that took place during the second year of the reign of the Qing Xianfeng Emperor (1852). Written by Zhang Xi-lun, Qing dynasty.